St. John’s Cathedral was the dream of Bishop Alphonse Glorieux, under whose direction it was built. In 1884 Father Glorieux, the President of St. Michael’s College in Portland, was appointed Bishop of the newly created Vicar Apostolic of Idaho, for which Boise City was the seat. At that time, only two priests served the entire Idaho territory with its 1500 parishioners. Within less than ten years, under Bishop Glorieux’s guidance, the Vicariate grew to a population of 7,000 Catholics, with ten Priests, 27 churches, four schools, an academy and two hospitals. 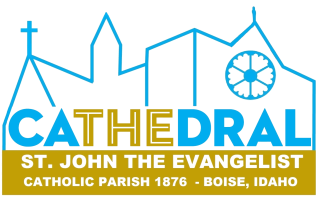 Due to growth and Idaho’s statehood, the Vicariate was elevated to the Diocese of Boise in 1893 with Bishop Glorieux at its head. By 1902, with population increasing, Bishop Glorieux realized the wood frame Cathedral at the northwest corner of Ninth and Bannock Streets would soon be obsolete. Built in 1876, it was Boise’s second Catholic church. St. Patrick’s on the old site of the old St. Alphonsus Hospital had been the first. It burned to the ground 18 days after completion in 1870. Bishop Glorieux purchased the site of the present Cathedral, selected the plans of Tourtelotte and Hummel, the foremost architectural firm of the period in Boise, and in 1906 the cornerstone was laid. The Bishop refused to allow the parish to go into debt to erect the Cathedral, so it was built in stages. By 1912 services were held in the basement and by 1916 the superstructure was completed. The Bishop hoped to finish the Cathedral before his death, but the coming of World War I frustrated his hope. A week after the golden jubilee of his ordination to the priesthood, Bishop Glorieux died in 1917. His successor, Bishop Daniel Gorman, undertook the completion of the Cathedral, and in 1921, the church was dedicated. Following extensive restoration and rearrangement, the Cathedral was rededicated in 1979. 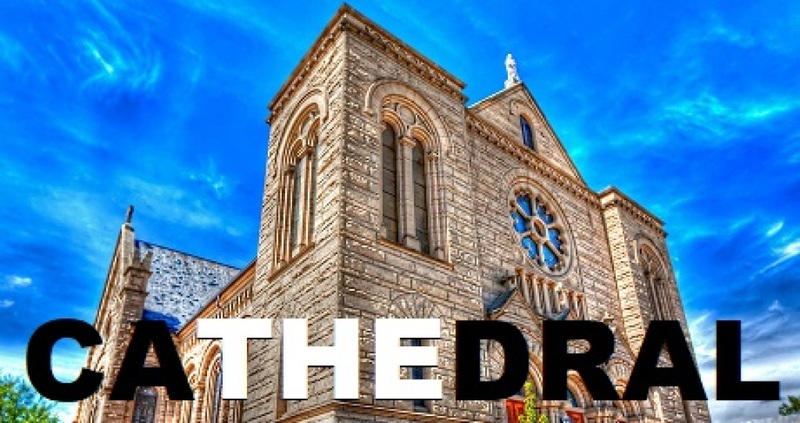 To find a more complete story of our Cathedral, consider getting the book by author John O'Hagan Stone Wondrously Hewn: The Cathedral of St. John the Evangelist available at our Parish Office and at Reilly's Church Supplies in Boise, Idaho.